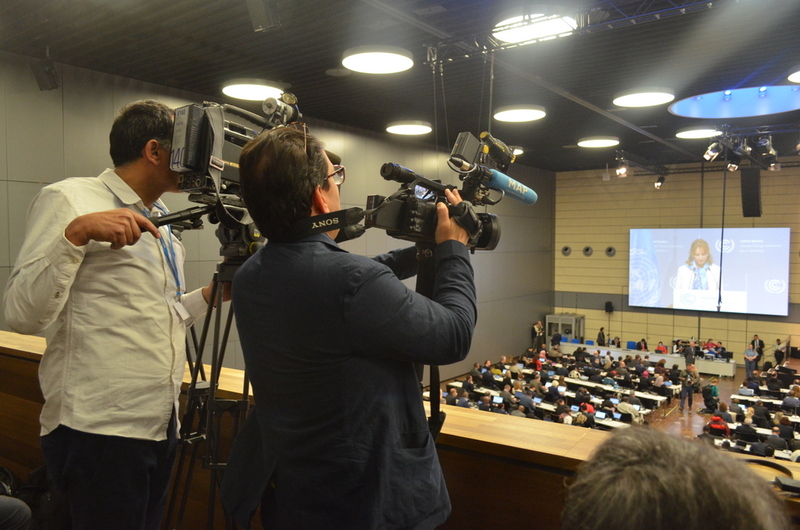 Last year (May 2016), I was fortunate to cover the first week on the UN mid-year climate conference in Bonn, Germany. This year, under the specter of a US president threatening to pull out of the historic Paris Agreement, I produced a story for Mongabay from my home office in North Carolina. The story is here. Thanks to editor Glenn Scherer for his quick and thorough work. The story quickly hit Mongabay’s Best Read list at No. 5. Bonn negotiators remain unfazed by Trump’s climate change denialism or his threat to withdraw from Paris. Every signatory nation is going forward with meeting voluntary carbon reduction pledges. Some policymakers do worry how the parties to the Paris Agreement will make up the loss of billions of dollars in U.S. climate aid promised under Obama, but now denied by Trump. This entry was posted in Environment and tagged Bonn, China, Climate change, climate deniers, climate talks, EDF, Friends of the Earth, G7, Green Climate Fund, Greenpeace, IPCC, Mongabay, Paris Agreement, Trigg Talley, Trump, UNFCCC, World Wildlife Fund, WRI on May 8, 2017 by Justin Catanoso.